then this is how the programme works. Your mentor continues to work with you to help you adhere to your plan and bring their experience to make your business a success and help you grow it in a sustained manner. If you think this is the challenge for you Ian Perry is waiting to talk to you on 01473 310833. Start-Up loans are loans aimed at all entrepreneurs aged 0ver 18years, who are living in England and looking for finance to start a business. 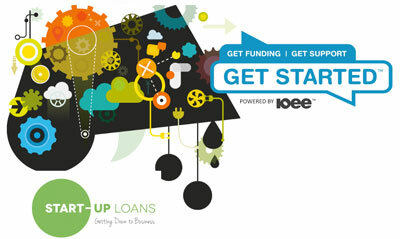 The Start-Up Loans is a national initiative and is a government backed programme of finance, advice and support. To apply for a loan you should be at least 18 years (at the time of application), a British Citizen or UK legal resident living in England and interested starting a business. The loan is available to anyone who is entitled to be in and work in UK (i.e. if an individual’s right to be in the UK expressly forbids them from working then they are not entitled to receive a loan, as the provision of the loan is for the purpose of starting up in business). Note also Start-Up Loans are only available to applicants intending to start and operate their business from an address in England. If I’m an International Student living in the UK, can I apply? Yes as long as your visa permits them to work in the UK, and your business plan is viable to allow you to repay your loan during the length of your stay. Loans start from £1,000. The average loan size will be around £7,000, however, the final amount will be determined by the business plan and can be up to £25,000. How quickly will I receive the loan? If you send us all the correct documentation, once the business plan has been deemed viable, you will be sent documentation to sign, then the loan will be approved and submitted to the finance company within 2 working days. After this, the finance company will contact you directly, asking for a signed copy of the Fixed Sum Loan Agreement, a BACS form enabling them to transfer the money to the your bank account, and a direct debit form to set up the repayments. Once they have completed these, and the finance company have received the hard copy in the post, they will transfer the money to your bank within 10 working days. What kind of loan is it? The Start-Up loan is a personal loan, which means if 4 or 5 people from the same company apply for a loan, all are eligible for an individual loan to invest in their business. If I receive a Start-Up loan, what are the payback terms? You will be required to pay back the loan within three to five years at a fixed APR (annual percentage rate) currently 6.19%. There is no interest free period, capital repayment holidays are available, but interest must be covered monthly throughout. You can pay your loan off early without receiving any penalties. Do I need a business account to receive a loan? No – setting up a business account is not necessary, a personal account is fine. If I already have a business set-up, can I still apply for a loan? Start-up loans are accessible to anyone who had a business in its initial phase and it is less than 12 months since they started trading. As well as the loan, business support, access to online community and mentoring, you will also be eligible to enrol in resources from a number of our Global Partners, all of whom will be announced on our website and Start Up Loans website, and communicated to them once they have received their loan. These global partners include Regus, PayPal, and Intuit. 6 months free access to Regus’ Virtual Office Package and access to most of their business lounges across the world. In addition, applicants will also receive a free copy of the Start-Up Loans kit, which offers all the guidance you need to start a business, plus more than £500-worth of offers on products from business cards to websites, netbooks and work suits. 2 years of access to their online cloud accounting software. Assistance in the initial stages to get started then 12 months free mentoring. If your form has been filled out correctly and we have all the documentation we need we will endeavour to have your loan approved within 2 working days, however, you will then need to fill our further documents for the finance partner in order to process your loan. Once you have submitted all your signed forms to the finance partner your loan should be transferred to your account within 10 working days. Will applicants be contacted for more details? Yes – all applicants will be contacted for more details if required.